Dress up your mailbox with these beautiful mailbox covers from Mailwraps®. This mailbox cover attaches to standard T1 size mailboxes with a magnetic strip along each side of the cover. This method holds the cover firmly in place in any weather condition. 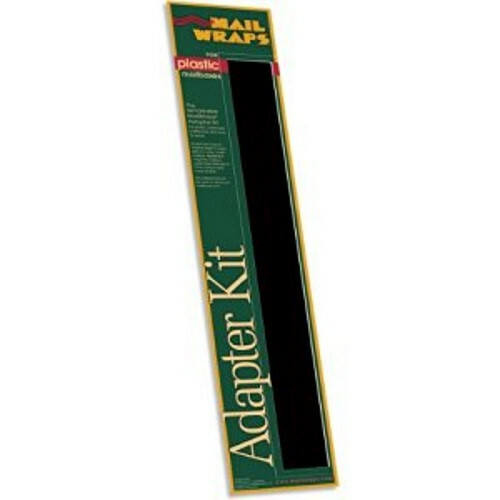 If you have a plastic mailbox, we offer the Adapter Kit for plastic mailboxes. The cover has a cutout around the mailbox flag and handle. Guaranteed for one year not to crack, fade or peel. Warning, these can be extremely habit forming! **Please measure your mailbox prior to ordering, these mailbox covers only fit certain size mailboxes. The measurements are shown at the right.